Martha of the Main Line: Successful Gluten-Free Bread! A sad realization that I haven't posted on my blog in over a year. I had no idea it had been that long! Now that I've gotten over the shock of what I've been doing with my life over the last year, I wanted to post a review and version of a recipe for some gluten-free bread I just made that came out as well as regular bread! I've been gluten-free for almost five years now, and making a loaf of bread seemed like a gamble, since I've heard (and tasted) so many GF bread horror stories! This success story was a happy surprise for me! First off, I used a flour mixture from Bob's Red Mill, called Homemade Wonderful Bread Mix. I have to agree with the name, as it was wonderful! I can safely say I will be buying more of this flour mixture, as it's a winner! 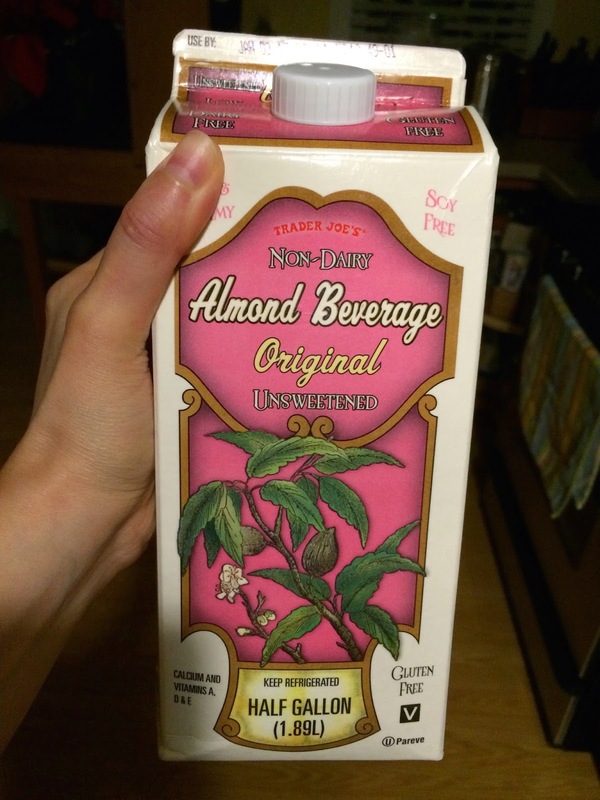 I like Trader Joe's Almond Beverage (found in the refrigerated section), as it doesn't have any carrageenan in it, which can cause digestive problems, and I have enough of those! 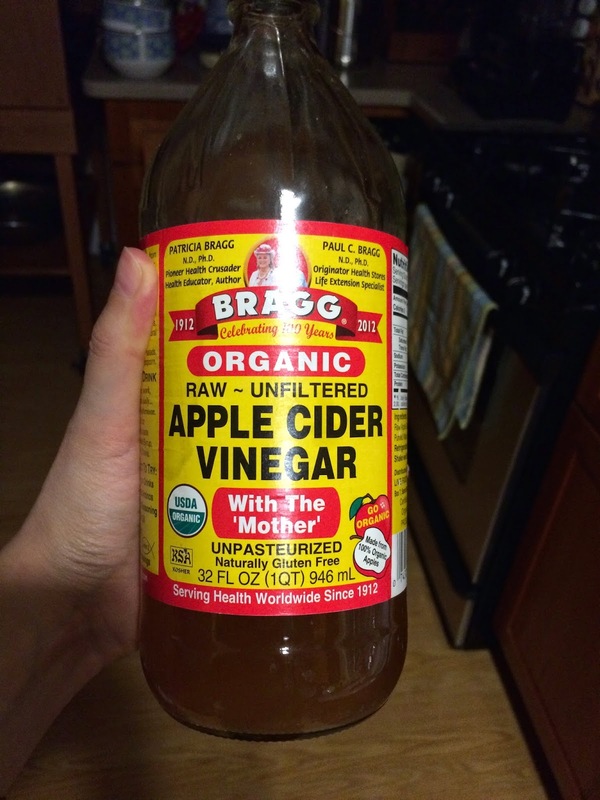 This is the best vinegar. It's unpasteurized and is the real deal! First, I warmed up the almond milk to 110 degrees and then added the yeast packet and let sit for five minutes, while I got everything else together. 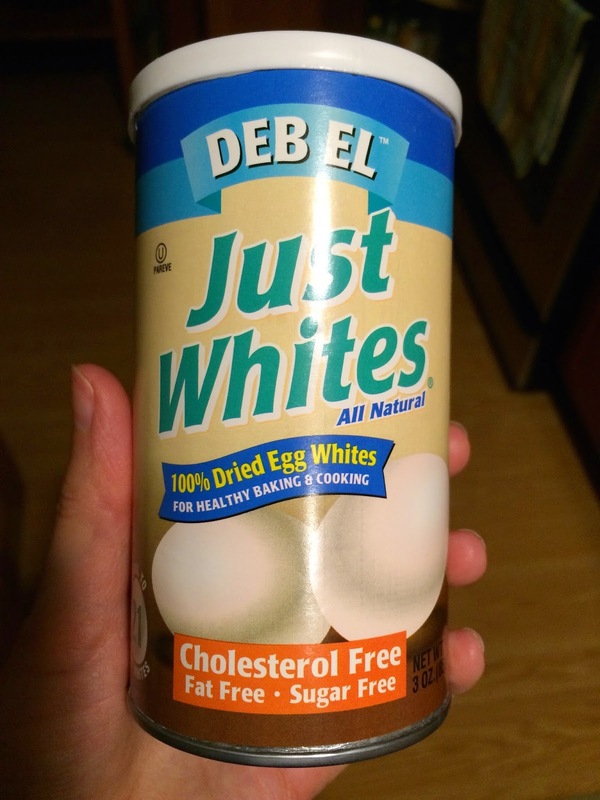 In a small bowl, I mixed together the warm water and Just Whites with a small whisk until it was all dissolved. Next, I melted the butter. After the yeast sat for five minutes, I added the flour mixture, yeast/milk mixture, one beaten egg, egg whites, melted butter and cider vinegar to the bowl of my Kitchen Aid mixture. I mixed it for three minutes on a medium speed, stopping twice to scrape the sides with a rubber scraper. I oiled up my USA Pans loaf pan (love these pans, if you haven't tried them yet) with cooking spray and added in the dough mixture. I sprayed a piece of foil with oil and then put the loaf pan in my dehydrator at 80 degrees for half an hour. This is an extra and unusual step, but it helps keep the dough nice and warm and helped it to rise considerably over the top of the pan. I put the pan in a 375 oven uncovered for the first 10 minutes. After 10 minutes, I used the same oiled piece of foil I used in the dehydrator to cover it in the oven and baked for 50 more minutes. When I took it out of the over after an hour of total time, the crust had turned a golden brown and was nice and crusty when I tapped it with my finger. As you can see, it looked great when I took it out of the oven. Nice and puffy loaf with a crusty outside. After waiting a very long 20 minutes to let it cool on a wire rack, the bread sliced up like a dream! This is the best gluten-free bread I've had in a LONG time. 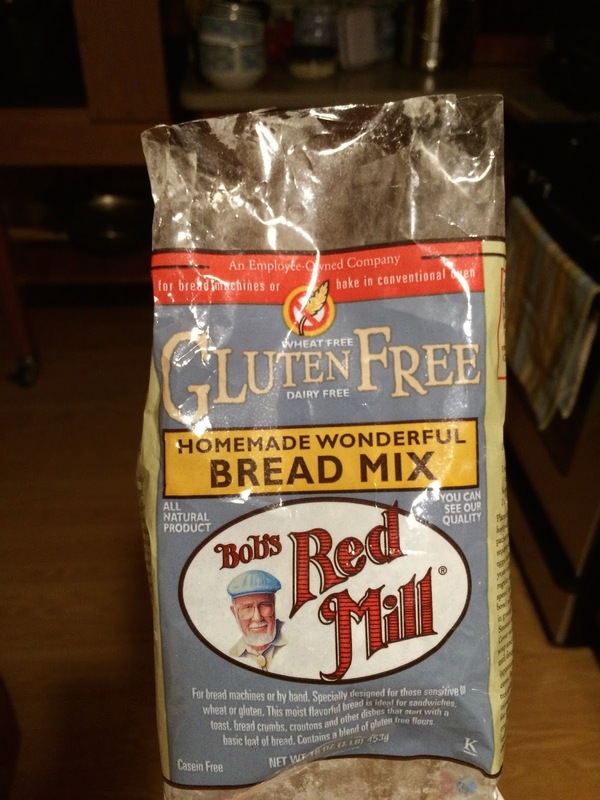 My husband agreed that it was excellent, and I will no longer fear making GF bread with this Bob's Red Mill mix in my pantry!